Maureen received her B.S. in Elementary Education from Penn State University. She also completed the 4 year training in Curative Education at Camphill Academy and 4 years of Spatial Dynamics training. She was a Class Teacher at Camphill Special School in Pennsylvania (a Waldorf School for children with special needs) for 12 years and most recently an Assistant Teacher for the past 5 years in their Early Childhood Program, which serves both typically-developing children and children with special needs. 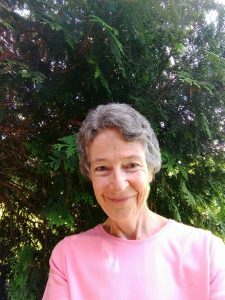 Before discovering Waldorf Education, Maureen was a teacher in public school Kindergarten and in several different Early Childhood settings in Pennsylvania and in Eugene, Oregon.